This is the beginning of The Edelholz Fable, written by Richard Cormell, that delightfully tells the story of a group of trees sharing about their great impact on the world. Each species shares how it contributes to daily life or played a large role in a historic event. The Edelholz Fable can be read on the Edelholz website. The creation of this story captures just how much Edelholz values Pennsylvania forests. 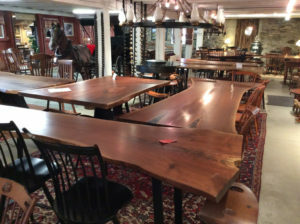 They offer a wide variety of products designed from hardwoods in PA. Hand-crafted furniture is one of their top products. 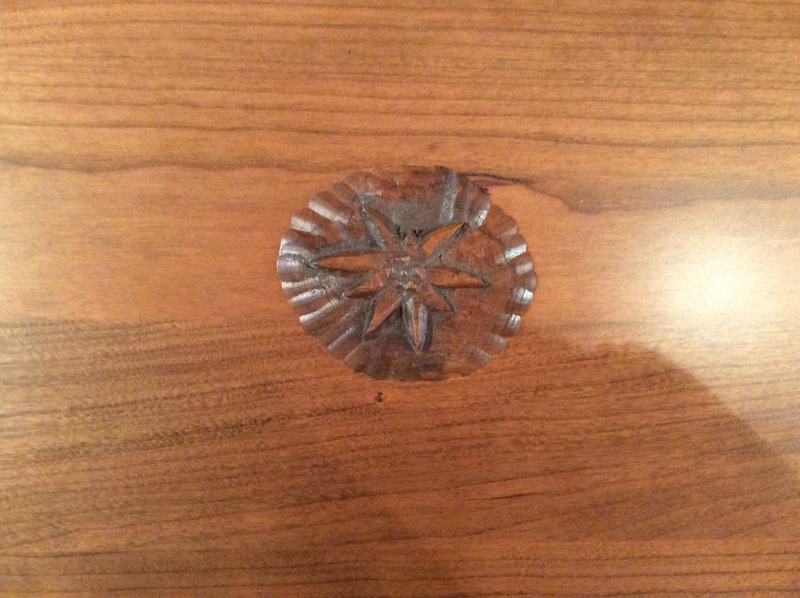 During production, each piece has been marked with an Edelweiss flower to indicate to the consumer that it is a genuine Edelholz product and made from PA timber, some of which harvested by themselves. Production is done locally by finely skilled craftsmen. Edelholz was featured on WNEP’s Home & Backyard where you’ll learn more about their store, The Point Barn as well as product offerings including Penn State items, and their cheese, jams and honey. Plus, you will learn how they have been supporting KWPA! KWPA is very grateful for Edelholz’ support of and donation to KWPA’s scholarship funds. “I feel it is important to support organizations such as KWPA because there is a definite need to educate the public on the positive impact that the hardwood industry has on our lives including employment opportunities, creating wildlife habitat, providing recreational areas, but probably most importantly providing us with natural beauty in so many ways,” says Richard Cormell. KWPA could not accomplish our goals without the support of our members who share our vision. Their love of PA forests is truly evident in the way Edelholz operates their business and crafts their products, which makes their motto very fitting: ”Give the Gift of Love from the Hardwood Forests of Pennsylvania”. We encourage you to visit The Point Barn in Danville, PA to fully experience Edelholz product offerings. You can also shop online at www.edelholzstore.com or find their products on Amazon and several local retail locations. Every purchase includes a card explaining the significance of their gift, the meaning of the Edelweiss flower, and how and where it was made.